St. Mellion Golf Club's 2013 Mens & Ladies Club Championships held over two days. 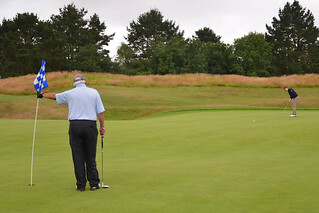 Around 100 golfers played in the first medal round on the Kernow Course, the cut reduced that to 60 for the second medal round on the Nicklaus Course. The first day was pleasantly warm and dry but the second day was cooler, wetter and windier making the Nicklaus a stern test. We are UK's leading Filter Specialists, selling online to the Plant, Agricultural, Commercial Vehicle and Marine Industries.